"Zen roll boxes are quality machines that can make all the difference in your cigarettes. They make it easy and affordable to roll your own smokes, and these machines are built to last. The Zen 79mm roll box was specially designed to operate smooth and create the perfectly pressed cigarette, every time. This version is designed to roll 1 1/4 size papers. The hinges are lubricated to provide long term use with no binding or sticking. 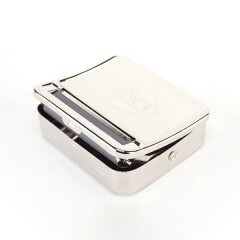 Made of thick steel with a pristine polished chrome coating, these roll boxes look as good as they roll. Instructions are as follows: 1. Open the lid and fill the trough of the band with tobacco. For economy and efficiency start by using just enough to fill the trough. Too much makes the machine difficult to operate. 2. Moisten the gum on a rolling paper and place this on the band with the gummed edges uppermost and the lower edge behind the tobacco. 3. Start closing the lid in order to engage the paper in the band and then complete this movement, closing the box with a slow uniform pressure on both sides of the lid. 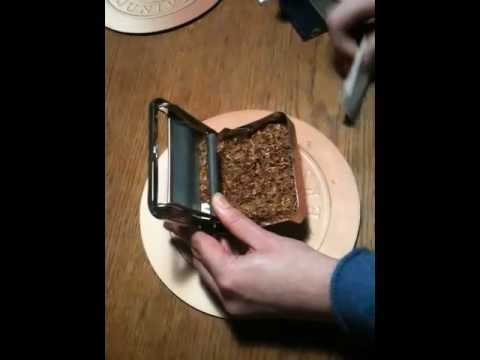 The paper and tobacco will then become perfectly rolled and will appear through the closed lid.